A fantastic trail that blends superb climbing abilities with fun and well-rounded downhill performance. The all-new Yeti SB130 is a swift-climbing trail bike that makes a tremendous daily driver. 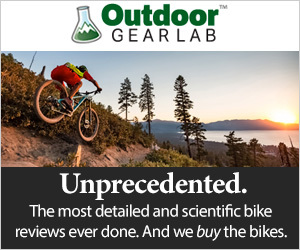 This bicycle is an excellent choice for a lot of riders who want a bike that can shred a wide-range of trails while retaining top-notch uphill abilities. Three testers spent six weeks riding this 130mm travel trail bike around the Sierra Nevada mountains to learn the key characteristics and important subtleties of this flashy new bicycle. The SB130 delivers high-end performance on all areas of the trail. Dialed geometry and top-of-the-line components allow this bike to climb as well, or better, than any mid-travel trail bike we have tested. Downhill performance is exceptionally fun and capable on all trails save for gnarly, enduro-grade, terrain. The lofty, $7,199 asking price can be a tough pill to swallow. That said, the spectacular on-trail performance certainly helps wash it down. Still, for the average rider who simply wants to get out on the trail, there are better options for your hard-earned dollar. The SB130 delivers high-end performance with an unmistakably high price tag. Yes, $7199 for our X01 TURQ bike is quite expensive. Fortunately for Yeti, the SB130 delivers excellent on-trail performance that is among the best mid-travel trail bikes we have ridden. Folks who value stellar climbing abilities will absolutely love this bike. The downhill performance is rock-solid, but this bike prefers a more finesse approach as opposed to straight-line, wagon-wheel, plowing. This bicycle is a tremendous option for a lot of riders in a lot of locations. That said, riders who don't need the absolute best performance should look elsewhere. There are bikes that cost nearly half the price that deliver 85% of the performance of this sleek Yeti. Want a little more bike? The Ibis Ripmo is an aggressive trail bike that retains impressive climbing abilities. The Ripmo can't match the feathery and ultra-efficient climbing skills of the SB130. Still, the Ibis has a calm pedal platform and can work its way up any climb with surprisingly pleasant efficiency. On the descent, the Ripmo shreds. This 145mm 29er has a big and burly 160mm fork and aggressive angles that creates a confident and capable ride. The SB130 is an excellent mid-travel trail bike that can finesse its way down gnar. The Ripmo is a more aggressive trail bike that leans towards the enduro side of the spectrum and can plow through rocks much better than the Yeti. Ripmo build kits start at $4,199 and our GX Build sells for $5,099. The SB130 shreds hard on a huge range of terrain. Do you ride mainly buff and flowy trails? Does the SB130 sound like a little too much bike? The Pivot Trail 429 is an ultra-efficient short-travel trail bike. The Pivot has 120mm of rear wheel travel and runs a 130mm fork. Climbing abilities are tight and the DW-Links suspension provides an excellent and firm pedal platform. In addition, the steeper geometry has a more cross-country oriented feel that is conducive for long climbs and big rides. While the Trail 429 may be a slightly better climber, the SB130 is a far superior descender thanks to its extra travel and steeper geometry. Still, the Pivot is a quick-handling bike that is impressive on fast and flowy downhill trails that are absent of sustained rock gardens. Pivot Trail 429 build kits start at $4,699. If all of this sounds a little expensive, the Transition Smuggler is an exceptionally fun short-travel 29er. The Smuggler can't climb or descend quite as well as the SB130. That said, the Smuggler has a very high fun-factor and loves boosting, slashing, and railing its way down the trail. The best part? Carbon build kits start at $3,999 while an aluminum frameset carries a $1,999 price tag. 29-inch wheels, 130mm of travel, and aggressive angles...we love it. The SB130 runs 29-inch wheels and is built around 130mm of rear wheel travel. Yeti's Switch Infinity system features pivot and link approximately halfway up the seat tube on a bulge in the carbon. The main link and Switch unit is positioned just above, and slightly forward, of the bottom bracket. As the bike moves deep into its travel, the switch unit allows the rear triangle to move upward and alters the axle path. The Switch Infinity design delivers a nice balance of bump compliance, deep stroke support and climbing efficiency. We measured our large test bike. The effective top tube length is 628mm and the reach is 477mm. The head tube angle is 65.1-degrees and the seat tube angles is 76.8-degrees. The chainstays measure 438mm and the bottom bracket is 335mm off the ground. The wheelbase is 1231mm. Our bike hit the scales at 29 lbs 9 oz set up tubeless without pedals or crank boots. The Switch unit allows the rear triangle to move upward as it moves deep into its travel. There is another stanchion hidden behind the frame. Note: The 477mm reach measurement on our large bike may appear quite spacious. However, when it is paired with a steep seat tube angle, it isn't quite as airy as the number suggests. Our 6'1" - 6'2" tester would have been more comfortable on an extra large frame. -130mm of rear wheel travel, designed around 150mm fork. -Available in carbon fiber only. The 150mm Fox 36 Factory fork is plush, yet supportive. The SB130 delivers ripping downhill performance on a wide range of terrain. Handling is sharp, steering is direct, and it is downright fun. This bicycle slays fast and flowy trails as well as reasonably chunky ones. It is possible to overwhelm the SB130 on steeper enduro-grade trails. Despite the meaty fork and slack geometry, it is worth mentioning that this is still a mid-travel trail bike. The SB130 doesn't share many ride characteristics with the outgoing Yeti SB5.5 despite relatively close geometry and travel figures. This bicycle is stable and confident on fast and flow trails. It carries speed well, remains composed at blistering speeds, and rails berms. The SB130 never feels like overkill on tame or mellow trails and that is an indication of an excellent daily driver. On buff trails, the handling is sharp and the suspension is tight enough where it doesn't mute out smaller trail features. On chunkier trails, the SB130 stands up quite well. The Yeti has the angles and suspension to remain cool, calm, and collective on some pretty nasty trails. Things can get out of hand on particularly rowdy, enduro-grade, downhills. That said, it takes some truly gnarly or steep rock gardens to get to that point. All of this is to say that the SB130 delivers excellent downhill performance on the overwhelming majority of trails. The Yeti is agile on technical trails. The measured 65.1-degree head tube paired with a 150mm Fox 36 and 2.5-inch Maxxis Minion DHF WT create a confident front end. The rear end delivers a nice balance of small bump compliance and big hit support. The small bump feel may not be as buttery as the outgoing SB5.5 but it is worlds better than the old SB4.5. Still, the Yeti smooths out the chatter effectively and a nice balance of suspension setup and tire pressure only enhances this. Big hit/deep stroke support is rock solid. At 25-30% sag, it takes a huge impact to blow through the rear travel. It is 2018 and lines are being blurred. Short and mid-travel bikes can now deliver frighteningly capable and confident downhill performance. The Transition Scout is a great example of a 130mm trail bike that is exceptionally comfortable on rowdy trails. The Santa Cruz Hightower is another bike that can punch above its travel class and has a mini-enduro feel. Despite the aggressive geometry, burly fork and high end shock, the SB130 rides like a trail bike. Although the specs and geometry figures may suggest that it is a scaled down enduro bike, it doesn't ride that way. It feels worlds different then the ever-popular Yeti SB5.5. When you get on a burly line, the SB130 benefits greatly from a finesse approach and smart line choice. You can get into trouble if you try to simply point this bike down a gnar line. If you try to simply aim it, this bike can get away from you and start kicking off line pretty easily. Not good. Instead, it prefers to be ridden like the trail bike that it is and be sliced and diced down the hill. This bicycle benefits from a little bit of finesse. It is not a plower. The SB130 is nimble and corners quite well. The 29.5-pound bike is easy to yank over obstacles. Despite the longer 1231mm wheelbase, it is easy to load up the rear suspension and hop in and out of lines. The 2.5-inch Minion DHF hooks up very well and backs up the riders aggressive movements. The component grouping is pretty dialed with one exception. The DT Swiss M1700 wheelset is a disappointing specification on a bike that sells for $7,200. If you grab the seatpost with one hand and place your other hand on the top of the rear wheel, you can visibly flex these wheels fairly hard. When you are pushing through corners, they feel a little vague. The freehub has poor engagement and can create a loud clanking noise when in its the dead spot and your descending through chunder. Still, DT Swiss makes it easy to upgrade the star ratchet system for better engagement for about $100. The rear suspension is progressive and offers nice deep stroke support on larger impacts. The Fox 36 Factory fork is fantastic. The fork is exceptionally smooth, plush and supportive. The DPX2 rear shock is impressive and offers enough adjustability without being overwhelming. Shimano XT brakes are superb and offer excellent braking power. The 2.3-inch Maxxis Aggressor is a little narrow. It rolls fast and works well, but a wider tire would allow you to run a lower pressure and maybe eek out a some extra traction and damping. According to Yeti, the max rear tire size is 2.5-inches. The Yeti is an incredible climber balancing excellent efficiency and impressive traction. The SB130 is an exceptional climber. In fact, it is among the best climbing trail bikes we have ridden. This bicycle sets you up in an excellent position to transfer power to the cranks and the suspension design beautifully balances an efficient pedal platform with an active feel for superb traction. The build kit is impressive on the uphill. The Yeti puts you in a position to grind uphill effectively and painlessly. The 76.8-degree seat tube angle puts you in a nice position right over the bottom bracket. This positioning allows for comfortable and efficient transfer of power to the cranks. The 477mm reach measurement may seem spacious, but there is an interesting quirk emerging these days. As seat tube angles become steeper and steeper, the rider is shifted slightly more forward on the bike. Since the rider is being forced forward, the feel of the reach shrinks even though the measurement is long. The SB130 feels just a little cramped in the top tube. Riders above 6'1" may be better off an an extra large frame. This short-feeling reach sets you up in an upright position and doesn't stretch you out. Despite a slack head tube angle, the front end doesn't wander on steep climbs. The Switch Infinity suspension delivers an excellent climbing feel. It strikes a perfect balance of efficiency and traction. In the open shock position, the SB130 has a little bit of movement under seated pedaling loads. This suspension movement delivers nice amounts traction over roots and rocks as it keeps the tire in contact with the ground. The axle path is dialed and the rear wheel doesn't feel like it wants to get hung up on a ledgy climbs. We would suggest leaving the shock in the open position in most situations save for fireroad or cement climbs. Uphill handling is excellent. Given this bike's wheelbase, it isn't the best for ultra tight and twisty climbs. Aside from that, it navigates anything you put in front of it with ease. The feathery, lightweight, feel really delivers when you need to punch up and over a technical pitch or muscle through a problem. Despite the slack-ish head tube angle, the front wheel was well behaved and didn't want to wander. The Yeti does not need its climb switch save for super buff trails or road climbs. The SB130 is among the best climbers we have had the pleasure of suffering on. The shorter-travel Pivot 429 and Specialized Stumpjumper were also tremendously effective climbers. We may give the Trail 429 the edge in outright efficiency while the SB130 is superior on rougher or technical trails climbs. The components were excellent on the climb. The SRAM X0 Eagle drivetrain was quite impressive. We have ridden plenty of bikes with a GX Eagle drivetrain and unfortunately, the more expensive X01 drivetrain really is that much better. Shifting was crisp, the lever feel was great, the carbon cranks were light and stiff. If you climb a lot of loose and steep trails, you might want to consider swapping the Maxxis Aggressor rear tire. It rolls fast and is light, but if you stand up to punch it on steep and loose or gravely trails, the rear tire can spin. It can be difficult to call a bike with a price tag that is north of $7000 a strong value. Yes, this bike is expensive, but it delivers an indisputably high-end ride. The SB130 can climb with the best of them and descend as well as any mid-travel 29er. The components are top-notch and the wheelset is the only questionable specification. Despite its price tag, the SB130 X01 TURQ delivers a solid value for the right buyer. The stock DT Swiss wheels are a little flexy. That said, it isn't a crippling problem. Yeti hit a homerun with the SB130. Yes this bike is expensive, but there is no denying that it delivers top-tier performance. Riders who don't demand the absolute best performance will likely want to look elsewhere. There are plenty of significantly less expensive bikes that deliver 85% of the performance of this boutique bike. That said, if you value a high-end ride, the Yeti SB130 delivers. Climbing is efficient, downhill performance is capable, and this bicycle offers a high fun-factor.